Life's Journey To Perfection: LDS Sharing Time December 2014 Week 1: The sacrament is a time to remember Jesus Christ. 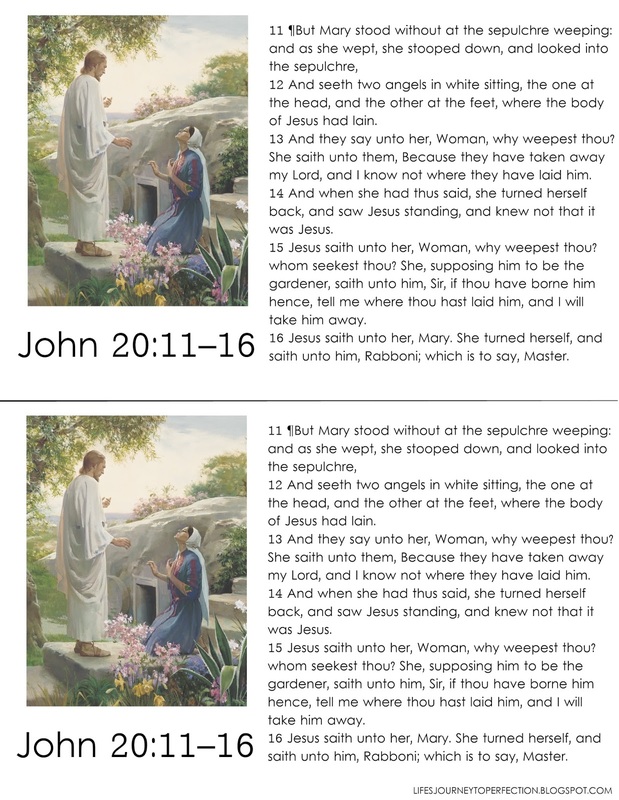 LDS Sharing Time December 2014 Week 1: The sacrament is a time to remember Jesus Christ. December 2014 Scripture: “Jesus saith unto him, I am the way, the truth, and the life: no man cometh unto the Father, but by me” (John 14:6). 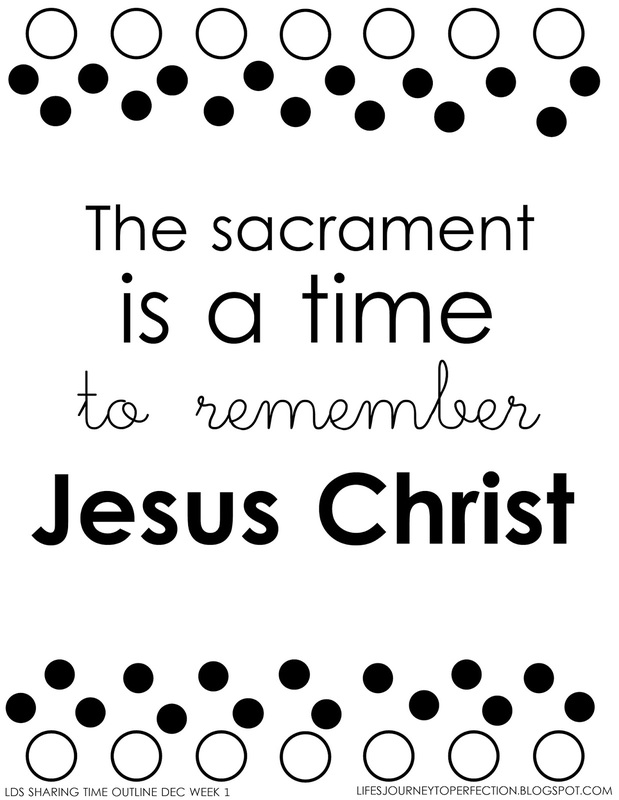 December 2014 Week 1 Topic: The sacrament is a time to remember Jesus Christ. Prayerfully study and think about what the specific needs of your primary are and how you can teach them this doctrine. 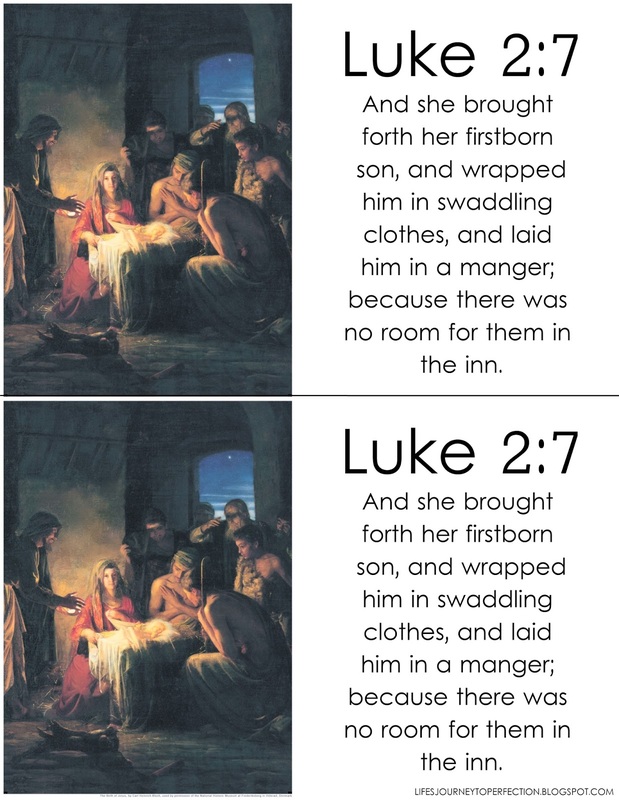 Begin the sharing time by explaining to the children that you are thinking of a word that describes a time and place that would be a great time to remember Jesus Christ. Invite five children to each ask you a yes or no question, so they can try to guess what you are thinking about. Questions might be as such: Is it at church? Is it at home? Do you need to be reverent? etc. After they have asked their yes or no questions. Ask if any one can guess what the word is you are thinking about. Thank the children for their participation. Hold up the poster, "The sacrament is a time to remember Jesus Christ." Invite the children to repeat the phrase with you. Invite the primary children to play a game of memory. 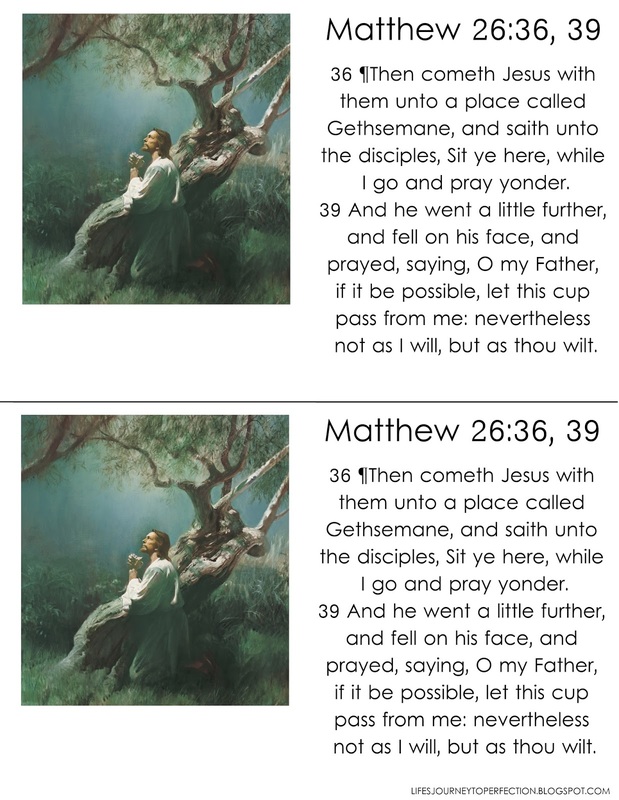 Before class, print out the above scripture/picture cards. Place them on the board face down. To play, invite a primary child to come up and pick two cards. If they do not match then they turn them back over. 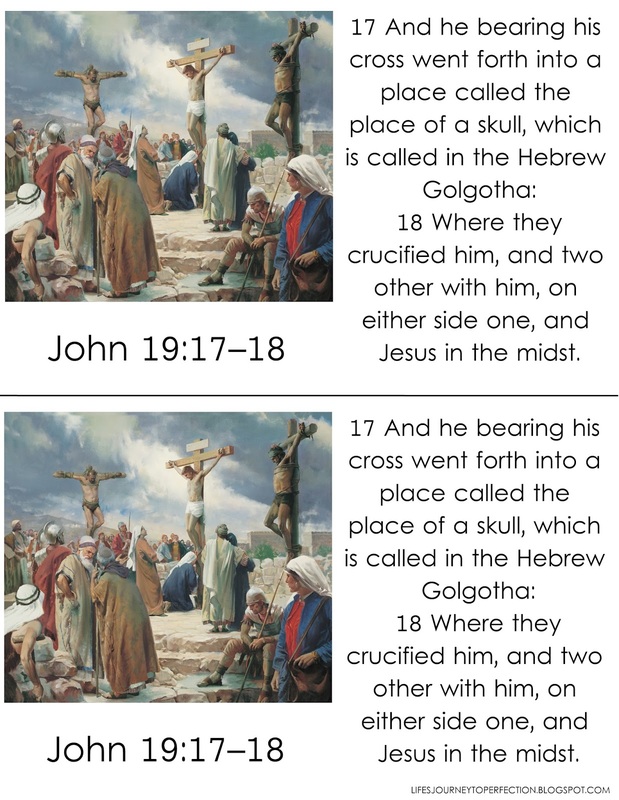 If they do match then you will read the scripture and discuss each picture. Continue game, by inviting another child to come up and chose two more cards. Continue until all cards have been matched, scriptures read and discussed. Encourage the primary children to remember Jesus, during the sacrament. Bear your testimony about this weeks topic. ***Basic ideas for this sharing time came from the 2014 Sharing Time Outline, you can find a link here: 2014 Sharing Time Outline. Thanks for always sharing such great ideas to add to the sharing time outline. Your blog is so helpful!